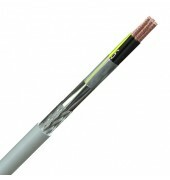 Alternative to the PVC LiYCY screened signal, control & power cable with Low Smoke Zero Halogen rated. It comes from 0,75mm2 to 16mm2 and these cables are LSZH throughout. Excellent flexibility making these cable easy to install. Use frequently in airports, hospitals and computer suites and control rooms, in fact anywhere where the system required a protection from electromagnetic radiation or from corrupting other cables or equipment. Fine copper wire strands to IEC 60228 class 5, Low Smoke Zero Halogen insulation, cores twisted together, polyester tape, overall foil & tinned copper wire braid, grey Low Smoke Zero Halogen sheath. 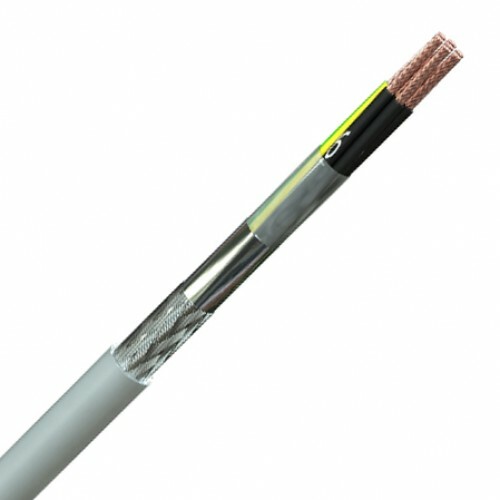 Cores are black with white numbers; a green/yellow earth core is included in cables with more than 2 cores.